The last couple of years I have taken to reading youth fiction. It’s a great balance for the heavy reading I do for school, and I love revisiting books that I read as a child. They take on a whole new meaning as an adult. A truly gifted writer is able to weave together multiple, complex themes, and some of those themes are only visible after time and maturity grow us up a bit. The Chronicles of Narnia are a prime example. I read them two summers ago for the first time since I was in the 5th grade, and they came alive to me in a completely different way than they did when I was eleven. It is a treat to be able to go back and glean deep theological truth found on such simple terms. To describe God in the words of a child is a literary skill I envy. While on vacation a few weeks ago, I found a copy of Madeline L’Engle’s book A Wrinkle in Time at a thrift store, and I purchased it. Her writing intrigued me as a child as well, and I looked forward to reading it through the lens of adulthood. I’m finishing it today, and I as I read the conversation below, it struck me as such as simple yet profound way of describing the concept of God’s sovereignty and humanity’s free will working simultaneously in harmony with one another. Being fiercely independent, the concept of God being in complete control and me still having any choice in the matters of my life never really meshed, but this makes sense to me. I tend to think that either I’m in control or someone else is. But God is pleased to work with us, within our lives. He has given us the structure in which He desires us to work. God gives us a range of choices for our lives; “This is the will of God for your life…” But within that strict structure, we are free to create a masterpiece or a trainwreck of the sonnet he has asked us each to write. Seems to me, in my simple human mind, that this may be a good way of describing how God works in our lives. God gives us choices in life, any of which He would be pleased with. He has given us boundaries in which to live, guidelines to follow, and reason, knowledge and logic with which to make decisions. And considering we are told in Ephesians that we are God’s handiwork, His masterpiece, I don’t have a problem at all with the idea of my life being a sonnet. Or a Haiku. Or any other type of art in which the artist is required to express his or her genius within certain boundaries. In fact, I believe expressing yourself within a set of externally given guidelines is more beautiful and more challenging than just “freestyling” whatever comes to mind. So I guess the only question is: what is your sonnet going to be about? This entry was posted in Christianity, Culture and Worldview and tagged Children's books, Chronicles of Narnia, CS Lewis, Ephesians, Free Will, Madeline L'Engle, Sovereignty. Bookmark the permalink. Good examination of one of L’Engle’s better philosophical points. 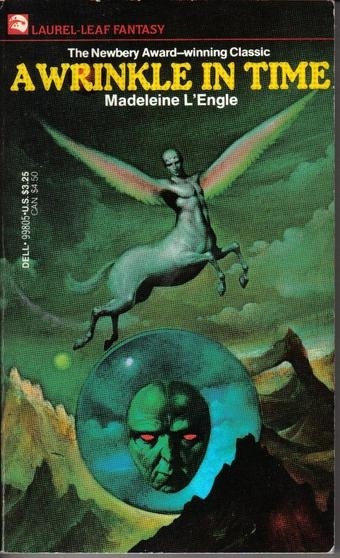 A Wrinkle in Time is an excellent book; I recently reread and reviewed it to see if it would stand the test of time, and it certainly did. I don’t think we’ll ever completely understand the relationship between God’s complete sovereignty and our free will, at least not until we’re in Heaven, but the sonnet analogy is as good as any to help us understand. I just want to say that I absolutely LOVE your blog. I found you on an internet search, trying to find scripture verses that dealt with restoration, and have spent a while now reading through your posts. Your writing touches my heart on so many different points. Thank you!